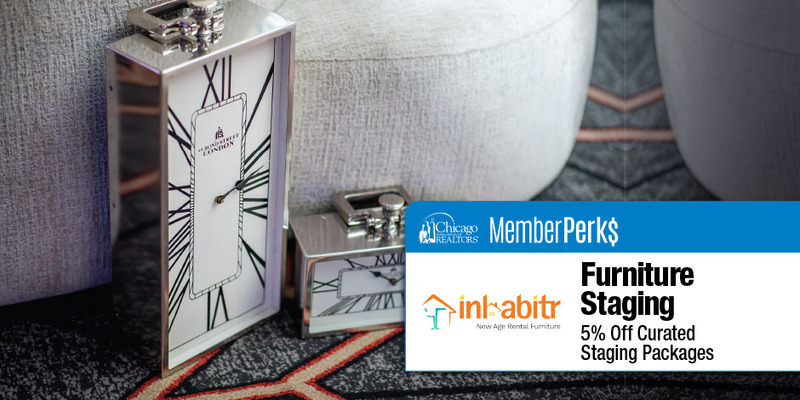 As an official partner of CAR, Inhabitr Furniture Rental has curated packages to serve your staging needs. We have a special offer of a 5 percent discount extended to only CAR members. Have a turnkey solution where we can help outfit the property, from design through furniture and accessories. Incredibly affordable prices and a FREE white glove delivery and assembly service. Sell your properties faster through pre-designed packages that are just one click away. Each CAR member can use this code up to 10 times (orders), and the discount is applicable on the lease duration for up to three months. A complimentary, 30-minute one-on-one consultation with one of our design team members is also included. To redeem the 30 minute consultation, email email@inhabitr.com with your request. To redeem the discount, login to https://www.inhabitr.com and apply promo code INHCARFRIENDS at checkout. Inhabitr furniture rental offers modern, stylish, and comfortable furniture to rent at an affordable price, which makes us an ideal partner for all your staging needs. We have the best value rental furniture, and we have made the process of renting our furniture super easy and hassle free. Simply browse our website, browse a variety of bedroom, living room and dining room packages, make your selection and check out. We will take care of the rest; our highly professional delivery team will assemble the furniture and outfit your place to your liking.